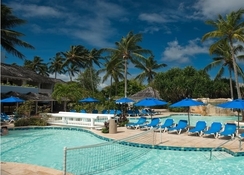 Almond Beach Resort is celebrated among many families, couples, honeymooners and group travellers. 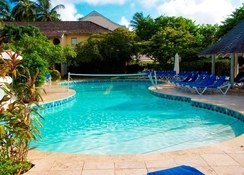 The resort is known for its located and authentic Caribbean hospitality it offers. 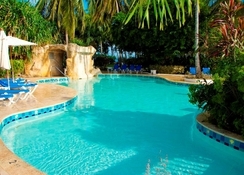 This is a seafront property that features all-inclusive accommodations and an incredible kids club. 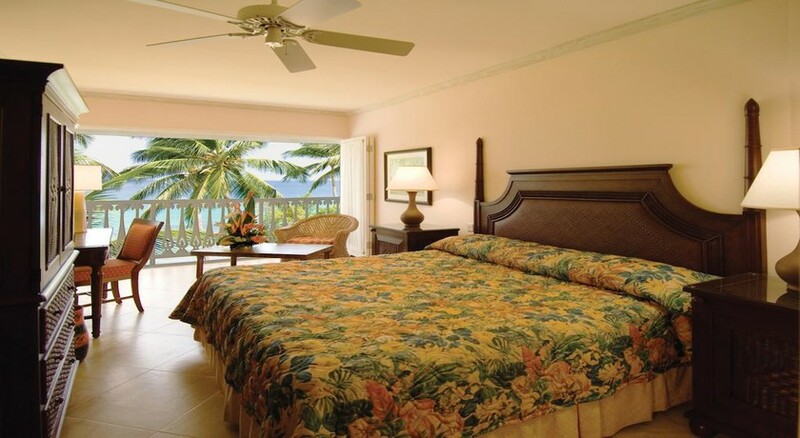 Equipped with standard rooms and one bedroom deluxe apartments, accommodations in Almond Beach Resort are plush and comfortable. Spacious in size, all the rooms are rich in terms of decor and interior and can host up to two adults plus a child. Basic facilities fitted in the rooms include en suite with bath amenities, hairdryer, TV with satellite, air conditioning, coffee/tea maker, safe deposit, iron & ironing board, fridge, sofa bed and more—note that some of the facilities are available only on request and may locally apply some charge. Cleaning of rooms and fresh towels and linens are provided daily and you can select rooms between double bed and twin beds. 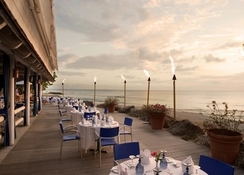 The hotel boasts three restaurant/bar; Reef, Enid and Horizon. The Reef Restaurant and bar serves breakfast (7:30am to 10:00am), lunch 12pm to 3pm) and dinner (6:30pm to 9:30pm) in international buffet style, while the Edin Restaurant serves a la carte lunch (12:30pm to 2:30pm) and dinner (6:30pm to 9:30pm). Dinner reservation is required in both the restaurants and both feature extensive bar menus. Meanwhile, Horizon Restaurant and Bar opens for dinner (6:30pm to 9:30pm)—the bar opens between 6:30pm and 1:30am. Caribbean covers are the restaurants speciality and theme dinners are often organised in all its three restaurants. The hotel's swimming pools assure you a relaxed holiday—there are five swimming pools within the premises. You can play water polo, water volleyball and water gymnasium—approach the front desk for lilos and beach towels. In addition, there is a kid's club where numerous activities and workshops are conducted. Other recreational facilities include two tennis courts, table tennis, billiards, squash court, shuffle board and souvenir shop. Also if you want to indulge in something luxurious, there is a deluxe spa that offers various massages and therapies, including a fitness centre. And in the evening, the animation team ensures that you have a gala time by organising various lively events and programmes for guests of all ages. 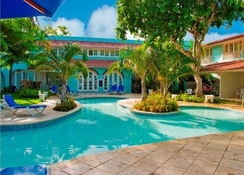 Built overlooking the sea on the beach of Heywoods in Douglas, Barbados, Almond Beach Resort is a family friendly property. It features 3.5 star facilities and services and 154 guestrooms. Located right on the shore, the views from the hotel are quite remarkable. The town's harbour is hardly 300 metres away and you will find plenty of restaurants and bars around the resort. Water sports activities are popular in the region and you'll find tons of them on the beach. You can also explore numerous seaside towns during day time and they're easily accessible from the hotel—the Grantley Adams International Airport is 34 km from the complex. Please note that as Sugar Cane Club Hotel & Spa is closing for a refurbishment 01 Jun – 31 Aug ’17, Almond Beach Resort Barbados will be unable to provide adults with the exchange dining programme there during this period. By way of recompense, adults (only) can claim complimentary transportation to Oistin’s on a Friday night. As with the exchange dining, places are limited and this is bookable at reception on a first come first served basis. F&B not included at Oistin’s, just the return transportation.